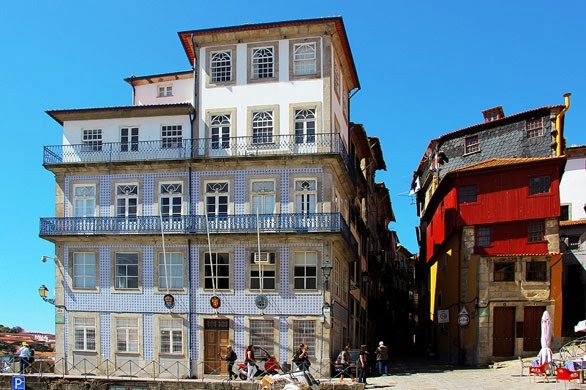 Hello guys today's post is not so direct for my friends because most of them know the places I am going to speak about but for the other friends or readers of the blog that never visited Porto before. Once I read somewhere that Home is wherever your heart is. Well, today I am gonna take you to the place where my heart is 365 days a year. 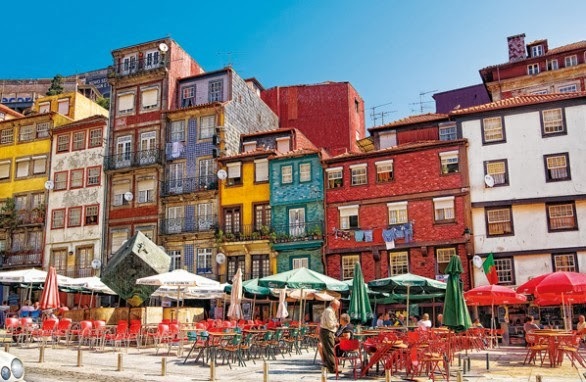 That place is called Porto or Oporto for the tourists. 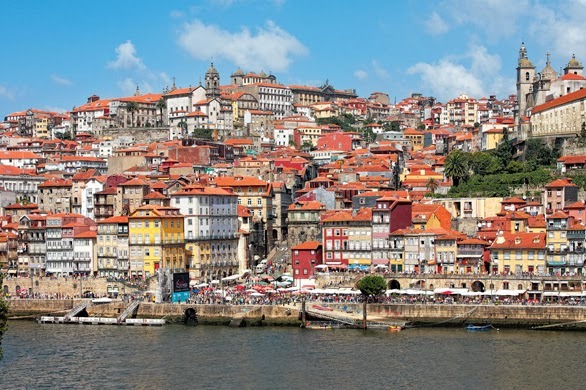 Porto is a small town in a country called Portugal with no more than 250.000 people. It's small but special in every single way. In this special city there is a river who divide the city in two sides: Porto and Vila Nova de Gaia. The river is called Rio Douro and I was born in Vila Nova de Gaia. This is where the Port wine gets older on wood pipes (yes, usually when I tell a passenger or an other crew member where I come from only from Port wine or Cristiano Ronaldo they know the city or the country, but Porto is much more than that!!!). One of the things that makes me love Porto is that it's the place where I can be totally independent with no need of much money. I can go everywhere by myself because there is metro or bus all over that will take me safely no matter where I wanna go. Speaking about money, this is the place where I can go to the theatre, a museum, a park or any cultural activity for anywhere between 2 to 5 euros and sometimes even for free if for example the theatre room is not full at the time it starts. We also have more expensive activities, but if you pay attention there is always something cheap available. Money is not an excuse to not do something interesting in Porto. Speaking about the locals: In Porto the people is authentic, sometimes too much, but this is the way we are. If someone is good too us we are the best friends in the world, we can do everything to try to make our friends, family or even a nice stranger happy, but if is someone is bad or rude we have no problem telling him straight away what we don't like there behavior. 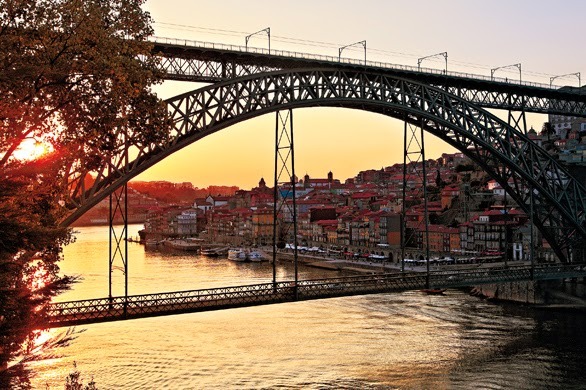 Speaking about food, going to Porto will guarantee you a great meals. We have great food for all the prices and in my honest opinion the best places are the cheap places like where you pay 5 or 6 euros and you have the best soup, meal and a coffee in places that we call ''tascas'' (small places that don't even look very good but they have the best food or wine). The thing that I miss the most: Francesinha that is a traditional meal that almost everybody loves. 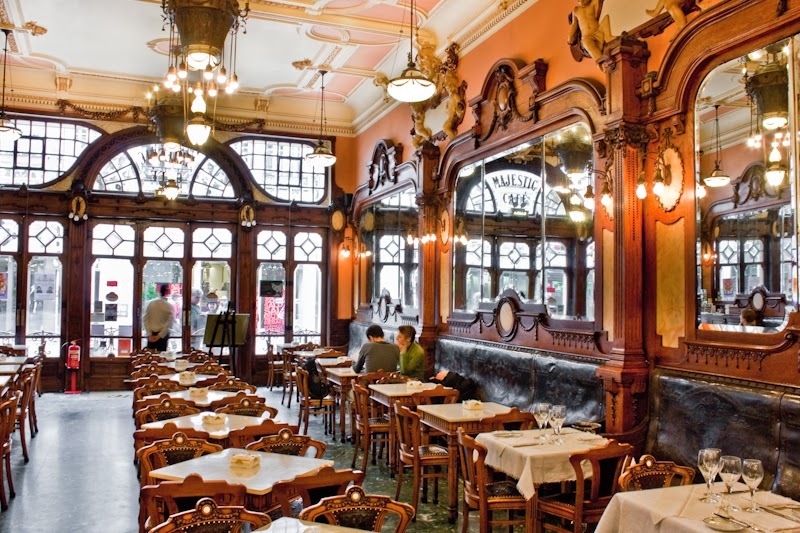 A great place to try it is Café Santiago (in the centre of Porto), where you can find a really good one (some people say it's the best one). Or Capa Negra also in the centre of Porto. But any other place is gonna be as good if you wanna try somewhere else. Other thing that you have to try (this is available everywhere in Portugal not only in Porto) is Bacalhau, dry and salted Cod fish that taste different from anywhere in the world and we Portuguese are know as having more than 1001 ways of cooking it. It is a MUST to try at least once in your life. In Portugal we produce a lot of wine not only the Port wine, so wherever you go ask the person who is serving you to give you an advice depending in how much you wanna spend or ask for ''vinho da casa'' (house's wine) and you will love it. Porto is know for many things, but one thing that I love to see when I'm there is the fantastic view from the bridge (Ponte D. Luís), where you can see the river, Rio Douro ending in the sea. When you are there, on the bridge in a sunny day and you see the small houses following down the river, this is so wonderful I can not even describe by words. You can actually walk next to the river from both sides, Porto's side is called Ribeira and Vila Nova de Gaia's side is called Cais de Gaia. In both sides you have really nice restaurants, souvenir shops, night clubs and other nice things to do. If you like shopping, start going to Rua Santa Catarina, a street in the centre of Porto, where you find all the shops and restaurants. I don't actually like going to malls, so I love shopping or just walking in Rua Santa Catarina. There is a really nice and fancy coffee place there, it's called Majestic Café and it's one of the most beautiful coffee places I've ever seen. I used to go to Teatro Rivoli Porto a lot. That is one of our theaters. Or if you want to go to a museum you can go to Museu de Serralves, where you have beautiful gardens as well. If you like gardens and you loved the view from the bridge I told you about go to Palácio de Cristal and enjoy a great time there. One other thing that is very famous in Porto is Casa da Música, a building famous because of its architecture, it's located in the middle of the city and it's known to house many concerts. I have been in some great classic concerts where there was a movie and the orchestra playing at the same time. And that was really nice. Also if you like art, there are many many places, like Museu Soares dos Reis, or even visiting one of our many churches, they are absolutely beautiful. The most famous one is Igreja de São Francisco that is also a museum, it's definitely worthy a visit. I have been there and I recommend it. If you are more a sport person or you like to go for a walk there are many parks in the city but a great one is Parque da cidade, which has a lake and volleyball nets, and it's so green and nice to walk, run or have a family time in there. There is something that is very famous in Porto as well, the Livraria Lello, an amazing bookshop that inspired the writer of Harry Potter for one of her movies. Well I could be writing all day and I wouldn't finish the list of things you can visit or do in Porto. Do you remember me telling you than Porto is not just Port wine? Well this is my home, where my family and friends are. Also the place where it doesn't matter if I am going out of home to buy bread or just for a walk, some neighbor is gonna ask me how I am, how is my mum, dad or grand parents. It's the place where everybody gives you too kisses on the face and they ask you how you've been doing with a genuine care for you. So sometimes what was supposed to be a quick go to a store to buy groceries turns into a conversations of hours. Because (almost) everybody is really friendly and social. So what I love about my Porto more than anything and I most miss is the people and the great atmosphere of that place. where you have all the right information about Porto and what to do there on the date you are going. I felt really nice writing about my city, especially because I have someone in my life that is really important to me, my aunt, and her job is to promote Porto (which she does so well and with so much passion) and writing this I felt closer to her. I hope you like it when you see it Gi. I also hope you guys can go there one day and tell me what do you think of it, or if you already been there let me know how your Porto experience was. And If I am forgetting (of course I am) any place that you loved ad would recommend or any tips, please comment down bellow so other readers can go there. Conheço o Porto apenas de passagem... Mas acredito que valha a pena uma visita mais demorada. obrigada matilde pelo comentário!! És uma querida!!!! Porto é a minha cidade de coração. Ir lá é sempre como se fosse a primeira vez!!! Tem tanto encanto por ser tão típica!